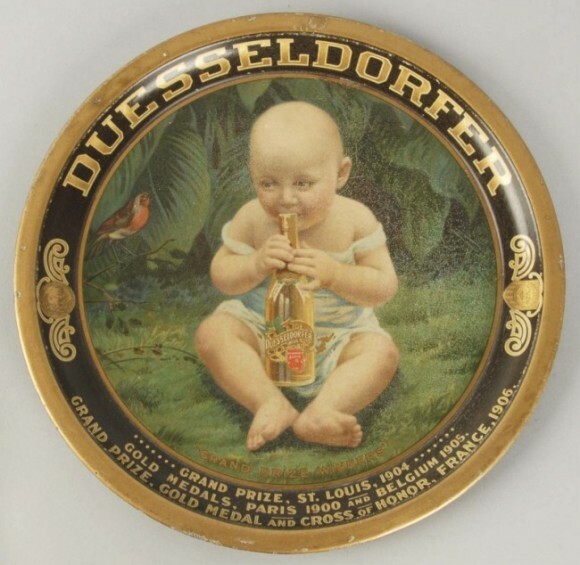 Serving Tray for Duesseldorfer Beer showing a baby biting on the top of one of the company’s bottles. This tray states the medals this company has won at the bottom. Grand Prize, St. Louis, 1904. Gold Medals, Paris 1900 and Belgium 1905. Grand Prize, Gold Medal and Cross of Honor, France, 1906.